In news that concerned supporters around the world, the Dalai Lama, 83, has been hospitalized with a chest infection but is "doing fine now," his press secretary, Tseten Samdup Chhoekyapa, told Reuters. The spiritual leader was admitted to a hospital in New Delhi, India on Tuesday and is expected to remain in the hospital for the next few days. Many of his supporters took to social media to wish the Dalai Lama recovery, including Naveen Patnaik, the Chief Minister of the East Indian state of Odisha, who said that "the world needs him." "Convey my best wishes and sincere prayers on behalf of the people of #Odisha for the @DalaiLama's speedy recovery & a long life," he wrote on Twitter. "Concerned that he has been hospitalised. The world needs him." Convey my best wishes and sincere prayers on behalf of the people of #Odisha for the @DalaiLama's speedy recovery & a long life. Concerned that he has been hospitalised. The world needs him. The Dalai Lama, born Tenzin Gyatso in 1935, became the 14th person to hold the position of spiritual leader of the people of Tibet after being enthroned in 1940 when he was just five years old. He has lived in exile in the northern Indian city of Dharamsala since 1959, after the suppression of the Tibetan national uprising by the Chinese military. In 1989, he was awarded the Nobel Peace Prize for his role as the "head of the nonviolent opposition to China's occupation of Tibet." 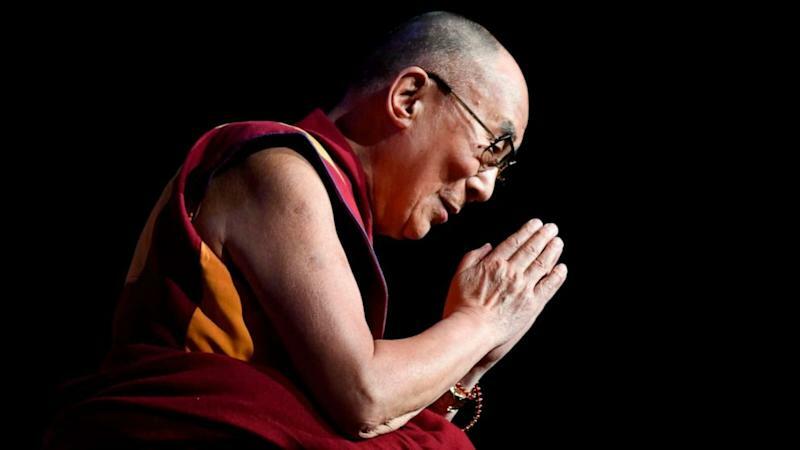 The Nobel Institute then commended the Dalai Lama for "his Buddhist peace philosophy on reverence for all living things and the idea of a universal responsibility that embraces both man and nature. It weighed heavily in the Tibetan leader's favor that he had showed willingness to compromise and seek reconciliation despite brutal violations." However, the Chinese government still considers him to be an agitator against legitimate Chinese rule and believe he should follow their laws and customs, according to Reuters. The Dalai Lama now has a Twitter account to communicate his Buddhist philosophy to the rest of the world and impart wisdom to his 19 million followers. Time is always moving on; nothing can stop it. We can't change the past, but we can shape the future. The more compassionate you are, the more you will find inner peace. "Time is always moving on; nothing can stop it," his last tweet said on April 8. "We can't change the past, but we can shape the future. The more compassionate you are, the more you will find inner peace."